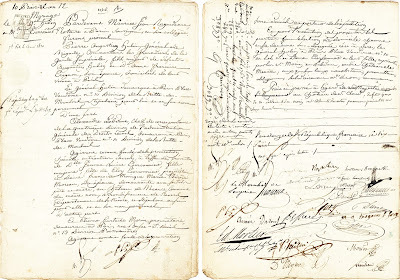 Lion Heart Autographs has announced an extraordinary opportunity to acquire the finest marriage document ever signed by Napoleon and Josephine. This rare Valentine's Day opportunity celebrates history's most romantic and often controversial couple – Napoleon & Josephine. 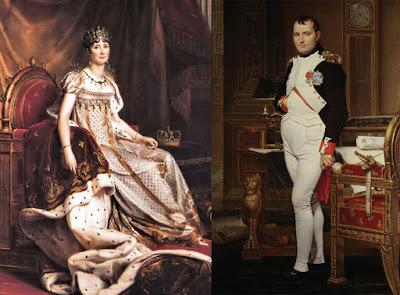 The evocative marriage contract is not only signed by the historic couple, but by other French notables, including six of Napoleon's original eighteen marshals (the highest military rank during the Empire). The Valentine's Day presentation of such a unique, historical document marks the first time Lion Heart Autographs has offered it for sale; it is one of only a handful known to exist in private hands. Lion Heart Autographs will display the document at The Palm Beach Jewelry, Art & Antique Show at the Palm Beach County Convention Center from February 10-16, 2016, where it will be offered for $20,000. "I am thrilled to share the evocative nature of this historical document on Valentine's Day. 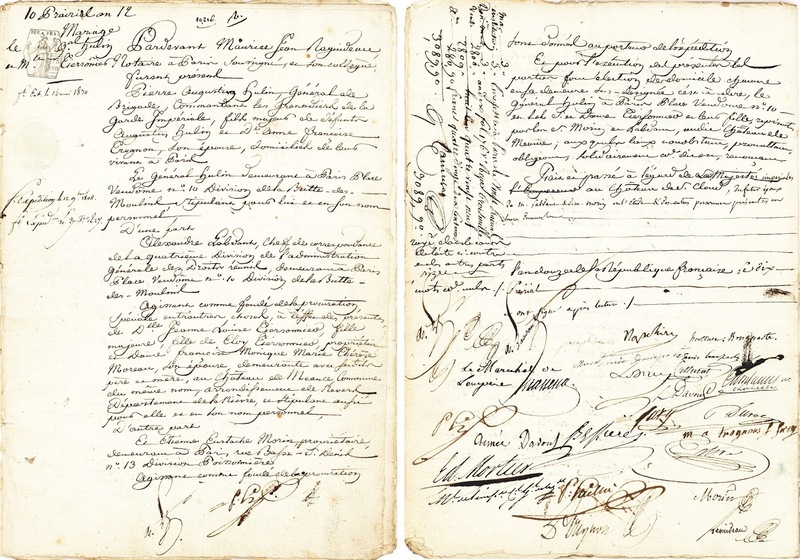 It is assuredly the finest marriage contract signed by Emperor Napoleon and his Empress Josephine available in the world," said David Lowenherz, founder & owner of Lion Heart Autographs in New York, noting, "Napoleon and Josephin's own marriage contract is preserved in National Archives of France." Other highlights to be featured by Lion Heart Autographs at The Palm Beach Jewelry, Art & Antique Show include a letter by Albert Einstein on how intellectuals and the working class should work together; doodles by President Dwight D. Eisenhower on White House stationery; a decorative proclamation signed by President Harry Truman declaring the end of WWII; an impressive document signed by Thomas Jefferson as Secretary of State about U.S. fishing rights; a very fine art related letter by Henri Matisse; an unpublished handwritten letter by Charles Darwin sending his photograph to a former shipmate aboard the "Beagle;" a charming letter by Mark Twain in which he offers his autograph to a young collector, and much more.